Effective communicators share a common goal of cutting straight to the hearts and minds of their audience. 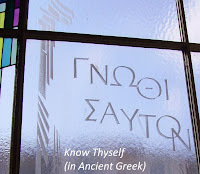 AR #1, therefore, is to Know Thyself. Self-intimacy cuts the deepest path to understanding others. It is also completely impossible to be authentic if you don't hold a firm understanding of who you are. Gather around you friends and family that let you be yourself and challenge you to be the best of yourself. One of the secrets of life is to be honestly who you are. Who others want you to be, who you used to be, and who you may some day become ... these are fantasies. To be honestly who you are is to give up your illusions and face today with courage. Welcome to the new presentation coaching blog from YourNextSpeaker. I have moved all the previous posts from our old address at speak.terapad.com. Those 50 posts are full of useful tips and tricks for the novice, as well as the advanced speaker and stretch from February to December 2007. With this move to the Blogger platform (which is where I host my Personal Leadership Insight blog), the title has changed to Authenticity Rules. 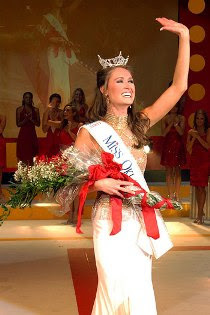 The purpose of this blog for 2008 is to help you write content, prepare to present, set-up the room environment, and deliver your material in the most authentic and natural way possible. As you get better at knowing how to bring you to the table every time, you presentations' impact will go up. But not just you, the very best of you. Authenticity Rules. 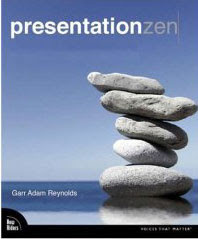 I am a regular reader and huge fan of Garr Reynolds' blog, Presentation Zen. He has released a book of the same name that is an instant classic and is a perfect read to get your mind right and your presentations sharpened as you head into the 2008 season. Buy Garr's new book directly from the publisher here. 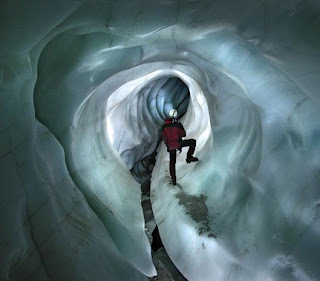 Contained within this three step process is a playground (the funnel), action (the broadening or tightening of the funnel), and reward (the light). Sounds like fun, huh? Great post from Mark Sanborn on confidence. "Too little self-confidence results in timidity and too much in arrogance. The amounts aren’t absolute so one person’s healthy self-confidence might be interpreted by another as arrogance. It is good to remember what Lou Holtz and John Heisler said in The Fighting Spirit: “You’re never as good as everyone tells you when you win, and you’re never as bad as they say when you lose.” A little modesty is a good thing for even the most competent professional. What is confidence? I define it as competence coupled with certainty. It is foolish to think yourself competent if you’re not and of little value to be competent if you don’t believe you are." I'm a fan of "one minute" fiction. These are short stories of around a thousand words or less. These short fiction pieces make a great change of pace for your journal. If you're new to fiction, here's a fast way to structure a story. This works for short stories of course, but you can also use it in an extended form (keep adding complications) for a novel. The Introduction is the setup, the "engine" that sets the story in motion. A static situation changes, as when a man wins the lottery, or when a wife discovers that her husband is having an affair, or when someone is fired, or whatever. The Complication makes a bad situation worse. If the man wins the lottery, he can’t find the winning ticket. Cluster or free write 20 complications. Force yourself to think of 20, and don’t stop until you've reached that number. The Consequence is what happens as a result of the conflict that's created from the Introduction and the Complication. Your story must have Relevance. It's the theme, whether it's love conquers all, do as you would be done by, don't take anything for granted, etc. You should know what your story's theme is, but you don’t need to state it explicitly. Write around 500 words, telling us what happens next. Icebreakers are a very yesterday tool. Facilitators who use icebreakers operate from a flawed theory of presenting. They think they need to use the first few minutes of their time building rapport and getting the folks in the room "warmed-up" to each other, the content and the presenter. This doesn't work. Most importantly, be in control of what the room feels like, looks like, and acts like even before you officially start! Scott Ginsberg is the Name Tag Guy. He has a number of valuable, relevant and straight-to-the-point E-Books and articles on his web site. His "234 Things I've Learned About Writing, Delivering and Marketing Speeches" is a great book for the professional speaker and a good one for any speaker. Click here to download the PDF, Cucumber.